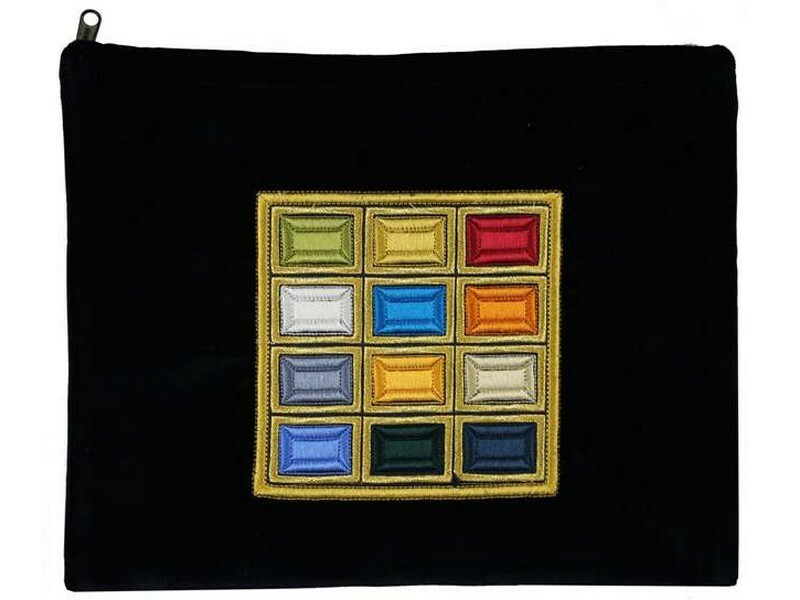 This navy colored velvet tallis/tefillin bag is decorated with the Choshen, the High Priestly breastplate, and its colorful stones. The design resembles the Choshen which the High Priest wore in the Temple. The colorful embroidered boxes and their gold colored outlines gives this bag a unique and artistic look. It is the perfect tallis/tefillin bag for Kohanim, descendants from the tribe of Kohen.